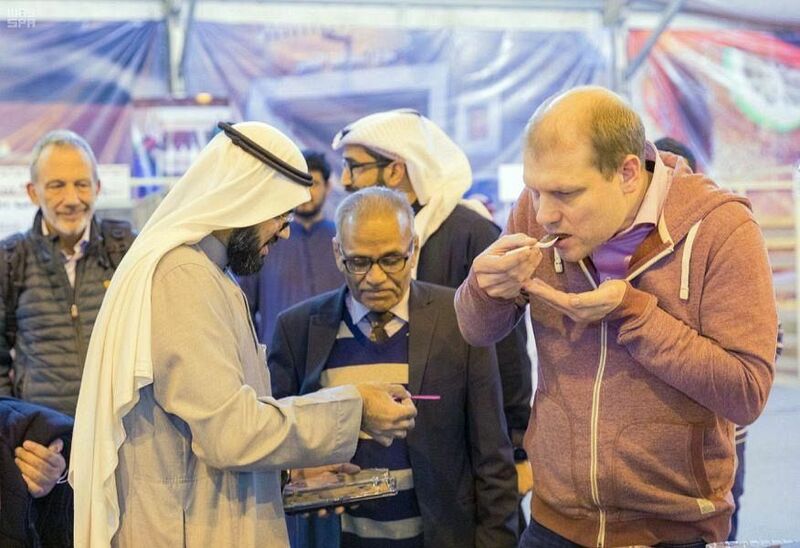 A delegation from The Netherlands paid a visit yesterday to the 3rd Al-Hanini Festival in Onaizah being organized by the Chamber of Commerce and Industry at the popular Al-Maskuf market in the governorate of Onaizah. The delegation was briefed on the programs of the festival included popular craftsmen, food carts and products of Al-Hanini sweets. Director of the Festival's Media Center Ashraf Al-Nafeesh said that the festival aims at briefing delegations on the popular heritage and presenting a variety of pictures of the heritage of children and grandparents, and showing the glorious history of the Kingdom of Saudi Arabia and its tremendous developmental leaps.